The second-generation Peugeot Partner was introduced in 2008 alongside its PSA sibling, the Citroen Berlingo. Like its predecessor, the current Partner is available in both panel van and passenger versions, but the latter has been renamed the Partner Tepee. Offered with four-cylinder gasoline and diesel engines since its introduction, the Partner gained an electric drivetrain in 2013. The utility vehicle was updated in 2015 with a redesigned exterior and a revised cabin. At the 2017 Geneva Motor Show, Peugeot introduces the electric version of the Tepee passenger model. Called the Partner Tepee Electric, the “leisure activity vehicle,” as it’s being described by Peugeot, uses the same electric motor as the pavel van version. Mileage is similar, while the Tepee Electric will also benefit from tax exemption with new VED regulations from 2017. Peugeot also added a range of new features, especially in the connectivity department, as well as a comprehensive battery warranty program. The new Tepee Electric is basically a passenger-friendly alternative to the panel van EV for customers that need the cargo room of an utility vehicle, while also being able to transport up to four passengers when needed. It also enables Peugeot to finally offer an alternative to the passenger version of the Renault Kangoo Z.E. “Whether for personal or business use, the Partner Tepee Electric stands out thanks to its blend of practicality and efficiency. 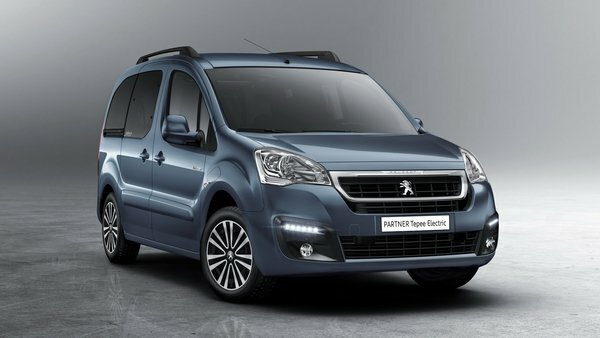 The vehicle offers an impressive range and is easy to run and maintain, making it a highly attractive option for those looking to switch to electric,” said David Peel, managing director of Peugeot U.K.
Continue reading to learn more about the Peugeot Partner Tepee Electric.